If you can’t pay your M&S Credit Card bill on time, you need to take action quickly. Do not ignore the situation and hope it will go away. Debt has a nasty habit of spiraling out of control. If your M&S Credit Card is one of several loan repayments you are struggling to make, you should consider setting up a Debt Management Plan with a reputable Debt Help Company. We recommend this company because they are leaders in the debt help industry and get excellent reviews. I can’t pay my M&S Credit Card bill, what should I do? If you cannot pay your M&S Credit Card bill you have presumably suffered a change in your financial circumstances. You need to have a close look at how you have ended up in this situation. Is it something you can recover from in the next month. If you are only having problems paying your M&S Credit Card bill, but you are able to pay all your other bills then you can probably sort out this problem on your own. We would suggest you get in contact with M&S Credit Card customer services on 0345 900 0900 or via their website. Explain your situation and discuss how you are going to get back up to date with your payments. Hopefully they will be willing to accommodate you. If your M&S Credit Card bill is one of several bills and loans you are struggling to pay then your situation is challenging. It is possible for you to get out of this situation on your own. However you are probably better off getting assistance from an experienced Debt Help Organisation like this one. To get started follow this link and begin the process of getting out of debt with the assistance of experienced debt help professionals. 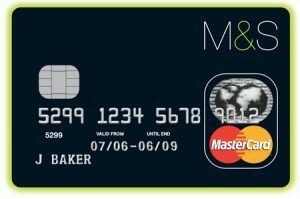 If M&S Credit Cards has not been able to resolve your complaint to your satisfaction once they have given you their decision, you are able to refer your complaint to the Financial Ombudsman. They will only investigate your complaint if you have already tried to resolve it with M&S Credit Cards first or if it has been more than eight weeks since you first raised your complaint with M&S Credit Cards. Registered in England No. 1772585. Registered office: Kings Meadow, Chester, CH99 9FB. A wholly owned subsidiary of HSBC Bank plc. Authorised by the Prudential Regulation Authority and regulated by the Financial Conduct Authority and the Prudential Regulation Authority. Marks & Spencer Financial Services plc is entered in the Financial Services Register under reference number 151427. Marks & Spencer is a registered trademark of Marks and Spencer plc and is used under license. © Marks & Spencer Financial Services plc 2014. All rights reserved.